The UN Food and Agricultural Organization on Friday launched an appeal for $19 million in short-term aid for farmers, fishers and other food producers in cyclone-hit Mozambique, one of the world's poorest countries. 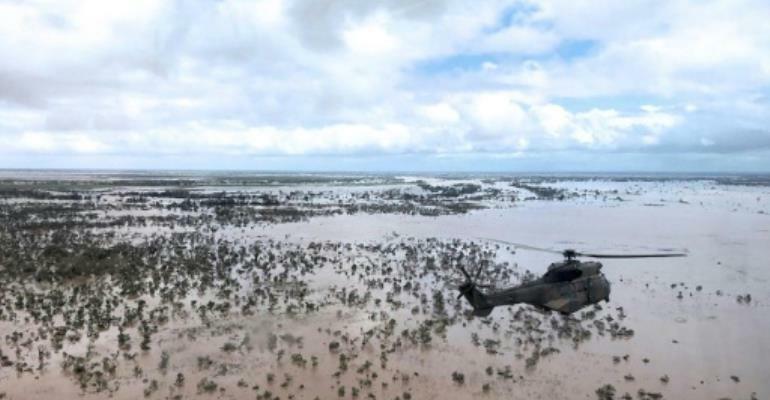 The three groups in three Southern African countries hit by Tropical Cyclone Idai - Mozambique, Malawi and Zimbabwe - "are under severe threat," an FAO statement said. As flood waters recede, "keeping animals alive, rehabilitating damaged land and rebooting food production will be critical," it added, given that 80 percent of the population in Mozambique depends on agriculture. The cyclone devastated the provinces of Manica and Sofala, which normally account for one-quarter of the nation's cereal production. The FAO estimates that $19 million (almost 17 million euros) would provide three months' support for local populations. "We will procure and distribute seeds as a matter of urgency so that farmers can plant for the secondary agricultural season, which is starting now, in April," it quoted local representative Olman Serrano as saying. Fishers and ports also need aid, in particular Beira, the country's main fishing port and import facility. The World Food Programme said satellite images showed the creation of an inland sea that measures 125 kilometres long and 25 kilometres wide (78 x 16 miles), larger than the European nation of Luxembourg.